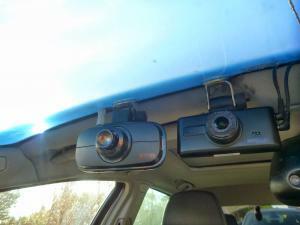 A video recording technology firm has called for CCTV-style systems to be installed into all autonomous vehicles in the future, reports FleetNews. According to research by SmartWitness, a leading manufacturer of CCTV systems for vehicles, more than nine out of 10 (91 per cent) of people polled in a survey agree with the company’s view. The reason for this would be to provide evidence to courts in order to settle any disputed insurance claims in the event of an accident. In fact, SmartWitness believes it should be compulsory by law. If you’re thinking of plugging in to the technological revolution or the burgeoning electric car market, be sure to check you have adequate levels of insurance to cover your new stock. As well as your general motor trade insurance, you may also want to consider upgrading to a combined motor trade insurance policy, which protects the facilities as well as the contents of your site. Paul Singh, the chief executive of SmartWitness said of his company’s research: "Around 40 per cent of all motor insurance claims are disputed, but how do you resolve a dispute when you can only hear evidence from one of the drivers involved? "The simplest way to eliminate the problem is to make camera technology compulsory in all autonomous vehicles. This will provide court admissible proof in the event of an accident and help to alleviate motorists' fears about the introduction of driverless cars. "It is fantastic that the government is embracing this new technology and powering forward, but proper safeguards need to be put in place to protect all motorists."